Some photos by NUS Kendo Kai, please click here. SKC is pleased to announce that after a long hiatus, we will be re-introducing Godo Keiko to our calendar again. On the 8th of March 2015, Sunday, please convene at the National University of Singapore (NUS). 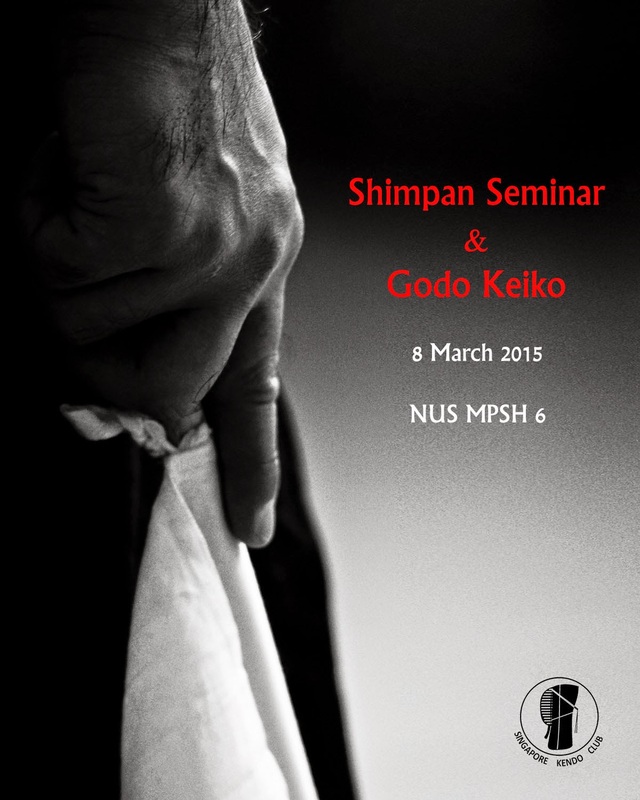 In conjunction with this, we will also be conducting the first Shimpan Seminar of 2015 on the same day. Should you be wondering what "godo keiko" means, this article by George McCall explains the concept. Through the crossing of swords, we hope to see an increased level of interaction between members of affiliate clubs, with the long-term objective of improving the general level of Kendo in Singapore. The Shimpan Seminar is open to all grades. Participants will benefit from learning and understanding more about the rules of shiai, the factors that constitute an ippon, and how to be decisive while performing this role. Apart from this, they will also learn how a shimpan should move and conduct themselves within the shiai-jo. We especially encourage dan-holders to join this seminar as attendance in such events will factor into future grading applications (for 3rd-dan onwards). 2 Sports Drive 1, Singapore 117561. The SKC Executive Committee would like to express our heartfelt appreciation to the NUS Kendo Club for the arrangement and provision of the venue.